The 10 Best Spots for French Fries in Massachusetts! Who doesn’t love French fries? Crispy and golden brown on the outside and hot and fluffy on the inside—good French fries are a treat to behold. The following places make the best French fries in the Bay State. If you’re in Massachusetts, give one or more of them a try. Although they’re only open in the late spring through some time close to Labor Day, Skip’s Snack Bar has the most delicious French fries around. Hand-cut potatoes are coiled into curly fries that are hot and crisp. They were featured on Phantom Gourmet. Skip’s has been in business for 70 seasons! For truffle fries that are to die for, visit the Yard House. 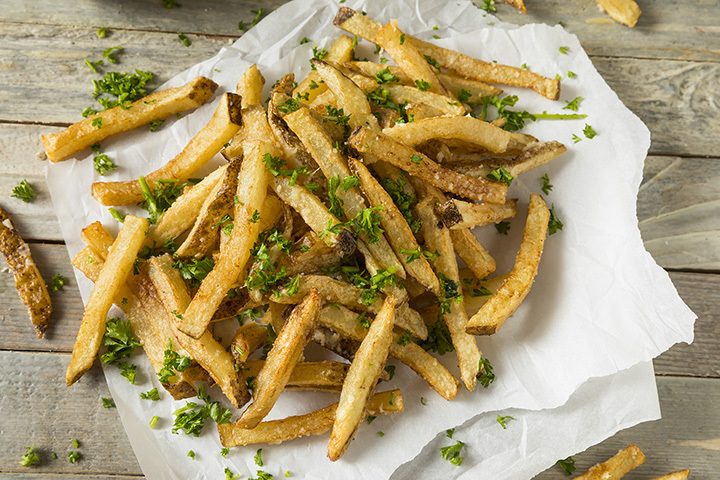 An elegant twist to traditional French fries, you might never want to eat them the way you’ve been accustomed again. Made only from potatoes that are locally sourced, Local Burger is counter service only, but makes some amazing fries. They are a far cry from fast food French fries! Featuring Belgian style French fries, Saus Boston is a favorite of late night diners, who make a meal of their beer and fries. The condiments served with their fries are especially delicious. Ask the wait staff for their recommendations. The kitschy décor lends itself to Mr. Bartley’s Burger Cottage, as do their delectable French fries. A favorite among college students, be sure to enjoy a thick frappe while indulging in your fries. The burgers are pretty darn good, too. Don’t let the interior fool you. Although Sea Street Café appears a bit drab, the food—especially those golden French fries—are anything but. They make an excellent snack after a morning or afternoon at the beach. Located on trendy Newbury Street, Boston’s Shake Shack is a gourmet take on fast food. The French fries are crinkle cut. Order them with cheese for a real treat. Eat your French fries with salt and ketchup or with a heaping helping of chili and cheese at Highland Kitchen. You can play your favorite songs on the jukebox while awaiting your order. Highland Kitchen is only open for dinner and late night orders, as well as Sunday brunch. They are also very popular with hungry bar hoppers. For amazing duck fat fries, check out Shojo Boston. The duck fat truly makes for an intriguing twist—as well as a refreshing change from typical Chinese food. Not everyone likes their French fries cut into wedges, but at the Boynton, these are wedges done right. Their fries are seasoned perfectly and filled with fluffy potato. For those not into wedges, they have shoestring and sweet potato fries, too.